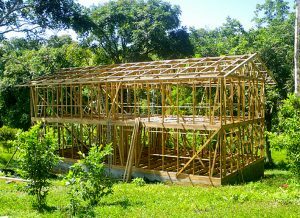 Your contributions to ITEC have helped build the Bocas del Toro Biological Station from the ground up. Without you and your generosity we wouldn’t have been able to offer a place for students of all ages, nationalities and interests to research and learn about the broad array of the natural world. In addition, we are building the next generation of natural scientists to help understand and protect the environment we all live in. We hope you will join us by supporting our efforts to complete the construction of a comfortable and functional place to study and learn. With the recent passing of Joe Maher, our longtime tree climbing and photography instructor, some friends have asked about making a donation in Joe’s memory. (Click here to see a memorial post.) We miss him and his crotchety wisdom every day. We would be happy to accept any memorials in his name. He was a great supporter of ITEC, which was his second home. We think he would be happy to know that his friends feel the same way. For some suggestions for ways you can help out, go to the Station Update for Fall, 2016. You will find a description of the future and ongoing projects at the ITEC Station and a list of Items Needed to help make it the best place you can go for tropical research and study. If you would like to make a donation using PayPal click the yellow Donate button and use ITEC’s email address: itec1@itec-edu.org. You can also support ITEC by doing any shopping you planned to do on Amazon.com by going to AmazonSmile. This is Amazon’s foundation for benefitting non-profit organizations. They will make a contribution of .5% of the purchase price to your chosen charity. You can access AmazonSmile by clicking on the Get Started button, below, or go to http://smile.amazon.com and start shopping! If you would like to make a donation by other means, please print and include this form with your donation. ITEC Donation Form Or just call and ask how you can help! See Information on ITEC’s New Field Station Campaign! Download a pdf with a complete description of ITEC’s new field station with maps and photos of our plans for the future. Description of the New ITEC Field Station Location and Infrastructure. All contributions are tax deductible. ITEC is a not for profit educational organization in the USA (501(c)(3)) and in Panama. STATE OF FLORIDA CHARITIBLE ORGANIZATION REGISTRATION NUMBER CH35207A COPY OF THE OFFICIAL REGISTRATION AND FINANCIAL INFORMATION MAY BE OBTAINED FROMTHE DIVISION OF CONSUMER SERVICES BY CALLING TOLL-FREE (800-435-7352) WITHIN THE STATE. REGISTRATION DOES NOT IMPLY ENDORSEMENT, APPROVAL OR RECOMMENDATION BY THE STATE.